Through the generosity of Rotarians like you, San Marino Rotary Charities (SMRC) funds sustainable projects that help people in our community, region and around the world. Whether it is a new athletic field, an updated park, a reading program for our community’s children, development of young leaders in our schools, service to the poor and homeless, or clean water, food and desperately needed medicine abroad, SMRC makes a very real and positive difference in the lives of others. The important work of SMRC connects us as Rotarians to those who need our help today and The Endowment Fund of SMRC will connect us to those who will need our help tomorrow. The Endowment Fund gives San Marino Rotarians the independence and flexibility to meet immediate needs in education, healthcare, social services, economic development and more, as well as, the resources to work within the structure of Rotary International’s grant-making programs. 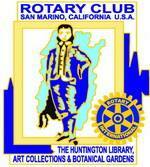 In either case, The Endowment Fund gives each of us the chance to create a meaningful legacy in support of the values the Rotary Club of San Marino and Rotary International. Our meeting location occasionally changes. Click “More info” in the Upcoming Events section below to confirm the location.